Thought Bubbles are short reflective articles on a wide variety of topics by a wide variety of writers in a standard format. Each Thought Bubble is between 500 and 800 words long. That's about all there is to it! We hope you find them interesting. Since the dawn of consciousness (whenever that was) humans have been exploring their experiences and forming constructs which enable them to perceive, use and predict things better. From that point of view revelation is a constant function of humanity, especially of certain gifted and dedicated individuals. I think that in "exploring and promoting religious faith as a human creation" (which is the Sea of Faith mission statement) we are valuing a wide variety of revelations. However, we also need to acknowledge that no revelation is privileged. All have to be checked for their truth, relevance and appropriateness. I think it's important that none should be discarded. Modernity is not privileged either. We may at any time need to revisit ancient insights to get out of the mess we continually get ourselves into. The great traditions of revelation -- of the Tao, off Krishna and Advaita Vedanta, of the Buddha, of the Old Testament prophets, of the story of Jesus, of the Qur'an, the Guru Granth Sahib, Baha'ullah an many others -- are there to be valued, assessed and reviewed for all humanity and for all time. Hello everyone! I confess to being confused by the Sea of Faith promoting religious faith as a human creation; perhaps someone will clarify this for me. It seems to me that if religious faith is purely and solely a human creation, with nothing from God (or gods or however you talk of the divine), then this surely contradicts what each religion says of itself. Then you're left not only with something "smaller" than religion used to appear to be, but something that also disagrees with you about what it is. Why would you promote that? If, on the other hand, religion is only partly (rather than wholly)a human creation, are you really promoting anything new? Don't most people, other than a few real extremists, already acknowledge some human influence in the development of religion? Who are you promoting it to? Are you trying to get religious people to acknowledge the human element in their religion? Are you trying to get outsiders to be more religious in a leaving-out-God way? (Whatever that means!) Are you just trying to find a way forward for people who want to be religious but get stuck with the apparently nonsensical bits? Does religious faith as a human creation "work"?! And am I significantly misquoting your mission statement above if I refer to religion as human creation rather than religious faith as human creation? If I were to give you a map with an "X" marking the spot where lies the treasure I would be 'revealing' to you the location of the treasure. Without the map and my agency in making the treasure map available to you, you would be unable to find it. If, on the other hand, in the process of building a hotel on a Carrabean island, I were to dig up the treasure by chance, I would say that I had "discovered" the treasure. No one has revealed it to me. I have found it all by myself. The key point here is that revelation entails the agency of a third party who gives me information that I didn't have before and that I would not have without their help. David Paterson has run the two notions of revelation and discovery together and has failed to make the distinction that is found in common-sense discourse. I think he has thereby muddied the waters and failed to 'reveal' anything useful to us. It is clear from the way he talks about the various insights of the various religions that he does not really believe any are revealed at all. If anything they are discoveries or simply ideas, speculations or prescriptions that are postulated and which should be critically evaluated by us - analogous to testing scientific hypotheses. I think David also misses the point of revelation. What people want from religion is a clear and authoritative answer to the three questions formulated by Kant in the C18th : What can I know? What can I hope? What must I do? David appears to believe what most people in our secular, western culture today also believe: that there is no source of authoritative knowledge and that all statements, religious or otherwise, must be critically evaluated. 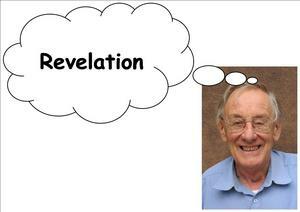 What might appear to be revelation, coming to me in, say, a dream, is really my own voice or the internalised voice of my family of community. It therefore has no authority per se. The problem, it seems to me, with the Sea of Faith approach is that it is hanging on to traditional, outdated, vocabulary of religion (faith, revelation, sacrifice etc) and trying to force its thinking into ill-fitting categories. The result is the intellectual distortions exemplified by this piece. A case of new wine in old wineskins? You could look at religion (or I should say 'religions') as various peoples' attempts throughout history to answer the Big Questions of life: Why are we here? Where did we come from? It is all going somewhere? How will it end? Why do the innocent suffer? How can we find consolation in the face of contingency chance, old age, mortality, death etc? Some of answers given by some religions may be dumb (Scientology and Mormonism come to mind) but some ideas may be quite wise and insightful. And anyway - merely contemplating the answers that religions give to the Big Questions can bring us up against them with a depth and profundity that might not be provided by a dry secular humanism. This view contrasts with the New Atheists who see all religion as essentially bad and corrupting. However, such a pick and mix approach also contrasts with the traditional view as it rejects the idea of religion as providing us with certainty and authority. I can't see any problem with the idea of promoting a serious interest in the things religions have to say about the human condition. For instance there are many sayings in the gospels that have no theological presuppositions: the story of the woman taken in adultery; the good Samaritan etc. But I am not sure that someone who took such an approach could seriously count themselves religious believers. These are people who draw on and are inspired by some religious ideas but they are not those who would go to the stake for them. My apologies. It’s only now that someone more alert tothe site than I has told me there was a reply. The matters you discussed in your reply have also been widely discussed among the Network’s membership since then, with a similar objection to the word ‘promote’. As a result, we’ve sort of put a moratorium on the ‘Mission Statement’ – decided, in effect, that we don’t need one. The rest of this reply is not to re-instate that word ‘promote’, but to explain why I personally wanted it there in the first place. So these are some of my ideas, and they might well raise some protests from other Sea of Faith members. The religions of the world are hugely influential, and the predictions of their collapse were clearly not true to the facts. ‘God’ is not dead. I don’t think humanity will ever be without religious faith. Merely discarding the old traditions would only lead to new inventions. More importantly, the old traditions have a great deal of deeply experienced and developed insights, wise advice and beauty which are there to be built on, along with much that constantly needs to be re-assessed and – often – discarded, and many tragic mistakes to learn from. To ‘promote religious faith as a human creation’ means to me primarily to play a part in encouraging an attitude to religion which draws deeply from these insights while at the same time taking full responsibility for them. I believe that – far from making religion ‘smaller’ than what it used to be – heartfelt acceptance of religious insights and imperatives is the way to recovering their essential nature. I’d like to add two things to this. One is that such an attitude seems to arise in many of the mystic traditions of world religions – it seems, perhaps, that the love of God does indeed make the existence of God irrelevant (Eckhart’s ’Taking Leave of God’ perhaps?). The other is that the gulf between Science and Religion is much more apparent than real. Both are human creations, systems of interpretation of it-all in order to make meaning of things and to facilitate and extend our use of them– and that includes our mind, our emotions, our consciousness just as much as the physical realities outside ourselves. The theories of science are human ideas which have to be tested constantly for their usefulness. So do religious ideas. Both consist of observation, theorising, model-making, story-telling, experimenting, testing. This is the sort of realisation that I would like to promote, because I think that the future of humanity depends on it. "...the old traditions have a great deal of deeply experienced and developed insights, wise advice and beauty which are there to be built on, along with much that constantly needs to be re-assessed and – often – discarded, and many tragic mistakes to learn from". The problem is that much is glossed over here and indeed it's the most important and interesting stuff. We want to know exactly which insights, advice and beauty are the bits we are to embrace and which are to be rejected as mistaken and what are the criteria by which we distinguish between what is to be accepted and rejected. David Paterson seems to imply that we are to judge the truth, validity and value of religious ideas by standards that come form 'outside' his religion. So where do these standards come from? For the ortodox believer get our standards 'from' our religion. We do not stand in judgement of our religion. "Science and Religion... are human creations, systems of interpretation of it-all in order to make meaning of things and to facilitate and extend our use of them– and that includes our mind, our emotions, our consciousness just as much as the physical realities outside ourselves. The theories of science are human ideas which have to be tested constantly for their usefulness. So do religious ideas. Both consist of observation, theorising, model-making, story-telling, experimenting, testing". So what does the 'usefulness' of religion and science consist in? To my mind the value of science lies in its ability to accurately explain and predict phenomena - not just in being able to manipulate the world. Not all science is applied. In the case of religion I want to have the confidence that the universe is structured in such a way that justice and love will out in the end. Perhaps we need an afterlife for that. But the religion that Sea of Faith offers has evacuated the agency of God from the universe. Consequently, there is no one on my side guaranteeing that my side will win (read the Magnificat if you want to know what the twio sides are). DP's religion is indeed 'smaller' because it is simply a philosophy of life - a set of ethics, attitudes and outlooks. It cannot guarantee that justice will be done at the end of time. Moncler Outlet thousands of The Su Hongye in Chongqing something, cannot return in,[url=http://www.giubbotti-moncleroutlet.com/]moncler outlet[/url] wrote that the daughter decide, so long as she said [url=http://www.giubbotti-moncleroutlet.com/]moncler outlet[/url] the research. the foreign flavor of the new individuals are very against [url=http://www.giubbotti-moncleroutlet.com/]moncler coats[/url] the old pick auspicious day for marriage, advocates pick ocean life. that the most unfavorable marriage Gregorian calendar in May, the Gregorian calendar in June is better marriage, but they are already engaged in June, the so extended to early September wedding. It is stated too much attention to date,Monday 23 is a good day for marriage, especially on Wednesday; 4,561 days just like a bad day, as a result they pick on Wednesday smiles: should have been that guy to come out of Yuen Long Cao tricks. Mei smiles: short, you hate the European students, pattern names up. Chosen to obtain married that Moncler Outlet Wednesday, the elements is like summer, hot interest. The way in which I wanted, Jiao days Fortunately, today I didn't do groom. The church was air-conditioned, Ts wearing a black wool dress, too busy sweating, I believe he white collar with a ring, to obtain another yellow sweat soaked and soft. I afraid the entire of his plump body In Khan, how a candle right into a pool of oil. Miss Su is also tight ugly. line up at the wedding, the bride and groom smiling face, no expression of Ku Buchu, all unlike the dry wedding, but instead no, this is not on the scaffold, is really a, is, like Moncler Boots a public place of pickpockets signs with punishing those hardened criminals in the face. I happen to think that I own wedding ceremony, under those thousands of Kui Kui like to become inevitable cracked pickpockets. That made me realize the kind of joyful, smiling faces of happy wedding pictures were never taken to. find! Great find! I am interested in is to see how you prefer her the same day. avoided her not to see, just say a few words with Miss Tang - chien hop heavy heart that, like truck unloading the parcel the following smash gravitropic only strange Xinmei will not hear - would be a bridesmaid the day, saw me and Moncler Scarf inquired about to not fight, said the ceremony complete line, we sprinkle colored paper Fou new body, when, in support of I won't have hands, afraid which i take the opportunity to throw hand grenades, nitrate sulfuric acid spill. She asked me later on plans, I informed her to visit Sanlv University. I think she might not want to hear your name, so I did not mention a word you. is written via him as no one else recognise such detailed about my trouble. Great post. I used to be checking continuously this weblog and I'm inspired! Extremely useful information specially the last section :) I maintain such information much. I was seeking this certain info for a long time. Thank you and best of luck. Hello, i feel that i saw you visited my web site so i came to return the desire? .I'm trying to in finding things to enhance my site!I assume its good enough to use some of your concepts!! of clever work and reporting! Keep up the fantastic works guys I've included you guys to my personal blogroll. These are people who draw on and are inspired by some religious ideas but they are not those who would go to the stake for them. 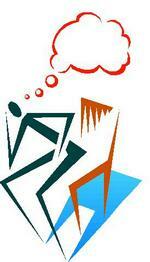 Thought Bubbles (TBubbles) are short, reflective articles on a variety of topics. They must be between 500 and 800 words long. That's the only rule. Two TBubbles are published a month. If you would like to receive them by email please subscribe via this blog - or go to our home page (see below) for further details. Thought Bubbles are sponsored by The Sea of Faith Network. Opinions expressed are entirely those of the writer and should not be taken to imply any endorsement by SOFN. You are invited to respond to any of these TBubbles by appending your own comments. Just click on the "Comments" link after the TBubble and type your comment in the text box. Your comments can be completely anonymous if you wish.